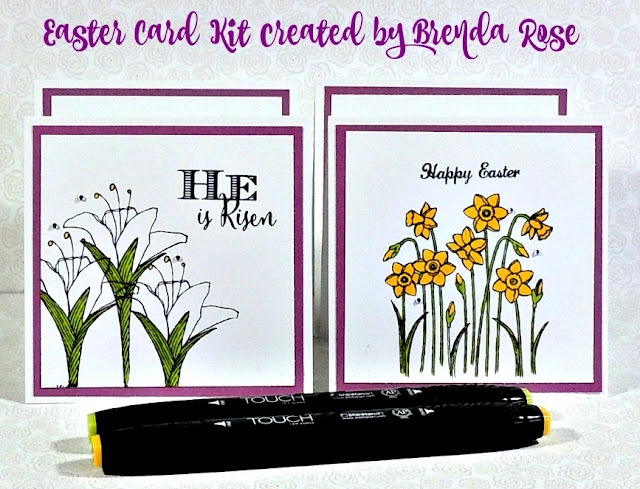 Over the years I have made card kits for Easter, and although the paper and stamps are different, there is always one thing that stays the same. I keep Easter cards simple so that the thought behind the card is always our Risen Savior. Easter is my very favorite holiday. I love the time of reflection before during the Lenten season. I did something unique with this kit - I used retired stamps. Perhaps it is because lilies are my favorite flower or maybe it's because I love the simplicity. The inside of the card is stamped with the sentiment "May His love fill your heart." This card will come to you pre-stamped in black and white. Markers are included in the kit so that you can color your images. I will include some tips for coloring these images easily. 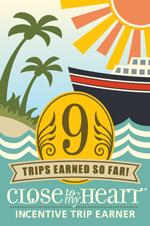 Please order your kit by Tuesday, March 8th, so that I can get them to you in time for Easter!